Opening Celebrations of Bishop David Motiuk Catholic Elementary/Junior High School on Monday, October 2 at 7:00 pm (855 Lewis Greens Drive NW Edmonton). 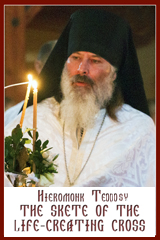 During the month of September, the Eparchy of Edmonton conducts its annual Vocations and Seminary Collection.“It takes a whole village to raise a child.” It likewise takes the support of the whole Church to form a deacon, priest, religious, monastic and lay member for ministry in the Church. It also takes our support to offer on-going education and formation for those already in sacred orders or involved in lay ministry. The faithful can acknowledge the role they play in nurturing vocations by offering their financial support to help defray such expenses as formation programs, retreats, conferences, seminars, tuition, books, and room and board. The collection supports Holy Spirit Seminary, Ottawa; the Basilian House of Studies, Edmonton; the Sisters Servants of Mary Immaculate Novitiate, Winnipeg; Clergy Study Days; and the Eparchial Diaconal and Lay Ministry Formation Programs; The collection also assists the Metropolitan Andrey Sheptytsky Institute of Eastern Christian Studies, Toronto, which serves the Ukrainian Catholic Church in Canada by providing academic and spiritual formation for our future Church leaders. The resources are available on the website of the Office for Evangelization and Catechesis. The Holy Father has issued his Message for the First World Day of the Poor, entitled “Let us love, not with words but with deeds,” to be celebrated on November 19. Friday, November 3 (9:00 am-1:00 pm, Providence Renewal Centre). Theology of Harmony: the Twelve Apostles and Brotherhood. Presenters include: Sr. Zoe Bernatsky, ssmi, Jayne Buryn, Stan Fisher, Teresa Kellendonk, Iryna Laschuk, Bishop David Motiuk, Rev. Myron Pyszcz, Fr. Stephen Wojcichowsky, and Dr. Theresa Zolner. Bishop Peter Stasiuk, Chair of the Patriarchal Catechetical Commission, issued an annual Pastoral Letter to Catechists on behalf of His Beatitude, Patriarch Sviatoslav, and the Synod of Bishops (PDF ENG/ PDF UKR).Bishop Peter also provided an update on the activities of the Patriarchal Catechetical Commission (PDF ENG/ PDF UKR). The Catholic Bishops of Alberta issued a Pastoral Letter on the Ministry of a Catholic School Trustee.Municipal elections take place on October 16, including the election of school trustees.In the letter, the Bishops encourage all Catholics to participate in the electoral process and propose some considerations to assist voters in their discernment of the appropriate candidate for the office of school trustee. Rev. Irenej Valyavka, osbm, as Pastor of Lamont and Distirct Parishes. 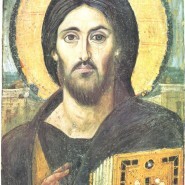 The Fall Program Guide of the Eparchy of Edmonton is available online at www.edmontoneparchy.com.